Australia, being very pro British in the 19th century, had many things named after the Brits and, whatever state you travel in, you will eventually come across something named after Queen Victoria. 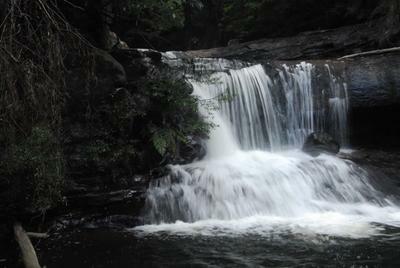 However, in this case, the falls named after her have been usurped by one of the world’s greatest in Africa. Victoria Falls in the Blue Mountains of Australia are a lovely set of cascades, reached by a slightly remote track not far from Mount Victoria on the western edge of the plateau. Less than 1% of visitors ever get here, such are the myriad of attractions elsewhere in the Blue Mountains, so you may well have them all to yourself, as I did. The walk is straightforward, if steep and rugged. The trail is easy to follow but it’s a rocky trail in reasonable condition. 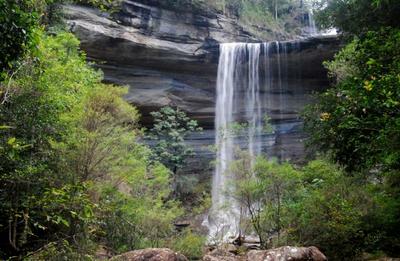 I’m only guessing, based on other walks in the Blue Mountains, but you’ll probably be negotiating about 700-800 steps. 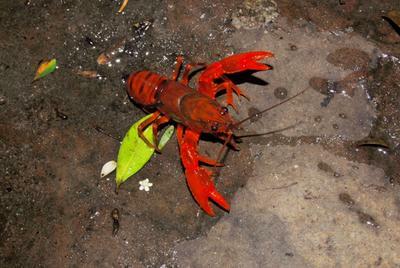 When you’re beside the stream, keep your eyes peeled for crayfish. They are there, you just have to be aware. 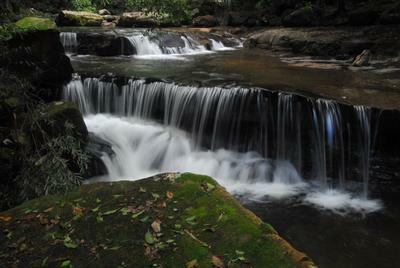 I was fortunate to be there when the area was a little wetter than average so I got to see a reasonable flow of water. Hope you enjoy.